Pulse Performance Products of Santa Fe Springs, Calif., is recalling about 18,700 Krusher Push scooters. This recall involves Pulse Krusher Pro Freestyle scooters with factory code 083WY, item number 164257 and date code 10-8-2016 or earlier. The factory code, item number and date code can be found on a label printed on the underside of the scooter deck. 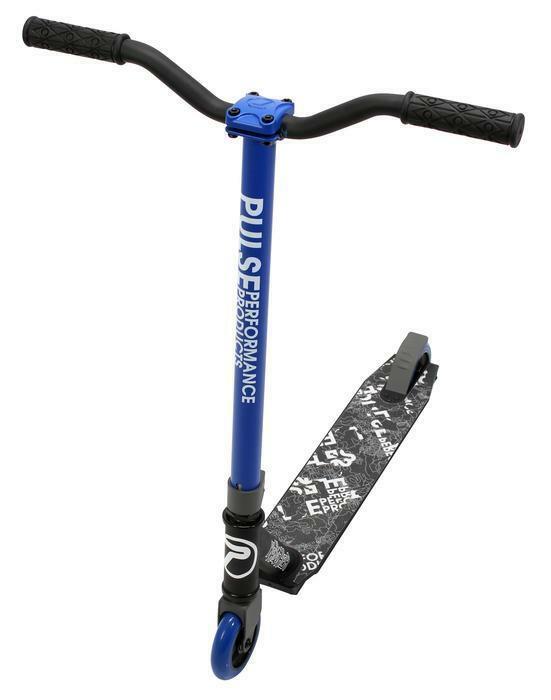 The 30-inch high scooters were sold in blue and have the words “PULSE PERFORMANCE PRODUCTS” printed on the down tube. The scooters, manufactured in China, were sold at Walmart and Westminster Trading stores nationwide and online at Walmart.com from June 2016, through May 2017, for about $40. Consumers may contact Pulse Performance Products toll-free at 844-728-9957 from 7:30 a.m. to 4 p.m. (PT) Monday through Friday, or online at www.pulsescooters.com and click on “CPSC Safety Recall” for more information.